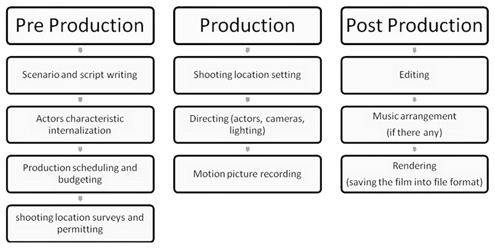 This unit focuses on pre-production which is directly linked to production and post-production. This unit has a written exam paper of 1 hour and 15 minutes (not too long!) and is set by your exam board (OCR) and marked by them, not by your teachers. 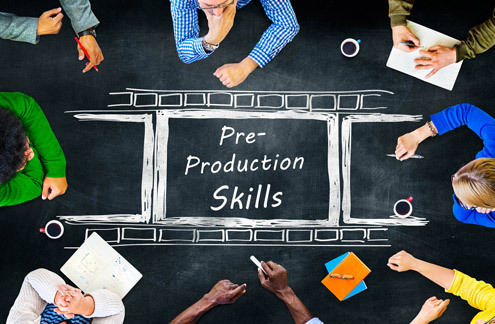 It will allow you to understand what is behind the making of a media product in terms of pre-production (what you do before you design and produce). It’s all part of the planning and creation process! Because exams can be a bit of a headache! I’m going to explain what the exam will be like (the format) and then show you the things you need to know about with a brief explanation for each. You can look at a sample exam on the Creative iMedia section on the OCR site (search under Past Papers). The Exam is out of 60 marks. Occasionally there will be a creative task for one of the questions in Section A that score up to 9 marks e.g. in the 2014 exam pupils were asked to “Create a pre-production visualisation diagram? for the front cover of a DVD sleeve. This is the creative section where you show how you can design a pre-production artefact in the actual exam!